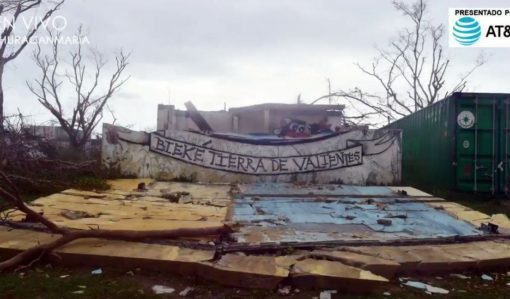 As you know by now, Puerto Rico was recently battered by Hurricane Maria — in particular, the island of Vieques bore the brunt of the Category 5 hurricane. 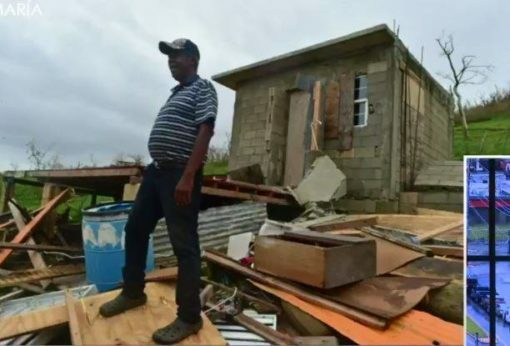 In some of the first photos that have come out since the hurricane made landfall a few days ago, you’ll see images giving partial-view into the wreckage and destruction that the storm caused to the island community. 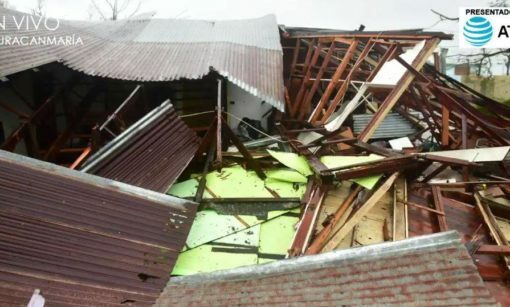 My friend who has a house on the island and lives there for a part of the year, sent me some heart-breaking images of the damage and wreckage left in the violent storm’s wake. Take a look. 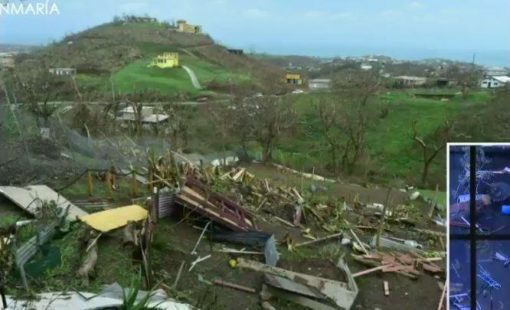 Resources to Check If Someone in Vieques is Safe? There are a few different options we’re aware of If you’re looking for an update on a loved one. You may be able to find some information on them at https://help.stormcarib.com. As many have already done, you can also comment at the bottom of this post asking whether a particular person is safe. Another option is this publicly-shared Google Sheet called the “Vieques Safe List” that has the first and last names of those that have been confirmed safe. We can’t confirm the authenticity of any of the above resources, we just want to help those worried about their loved ones as much as possible. 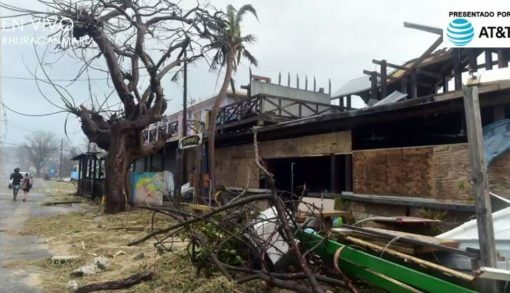 As you can see from the image below, the popular Esperanza restaurant Bananas, was destroyed by Maria. 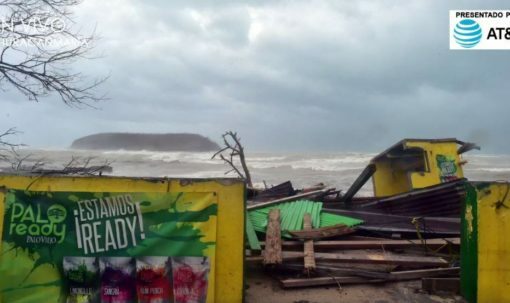 Kelly and Kurt Soukup are the owners of the beachfront restaurant and their family hasn’t heard from them since the storm. If you know of their whereabouts, please click here and reply to this comment from Kurt’s mother to update her on the latest. 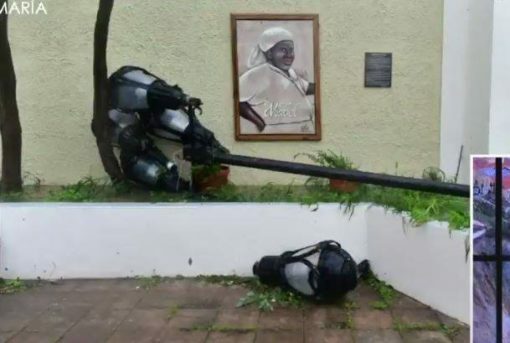 In some areas of the island, the Category 5 hurricane swept through with 150-mile winds. 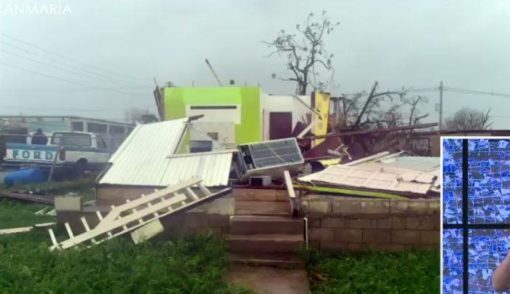 Some of these first images from Vieques show significant damage to houses and the island’s infrastructure after Maria moved on. Homes that were built with wood have completely collapsed, power lines are down, and bare trees folded in half from the power of the winds. 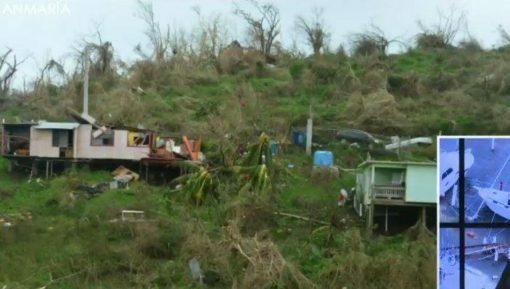 The hurricane has easily caused thousands if not millions of dollars of damage to the small island community. 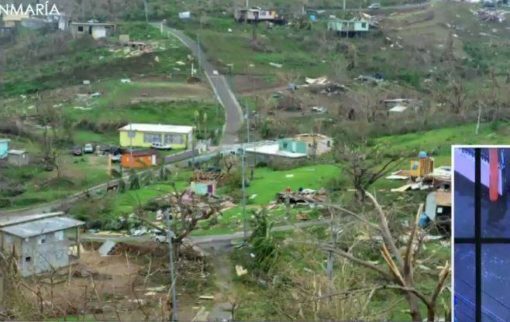 From the looks of these photos, it doesn’t look like the intense storm spared very many on the island. 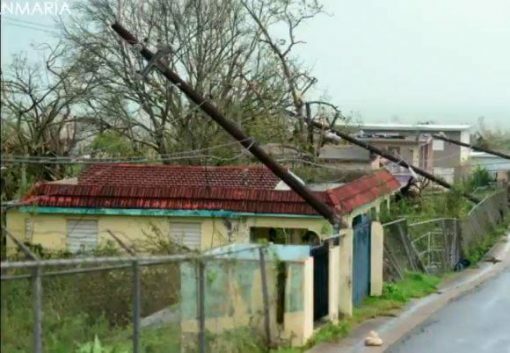 The island’s electrical grid is severely damaged… that virtually all the trees on the south side of Vieques, facing St. Croix, have been stripped bare… the older wooden homes and structures have been largely destroyed. 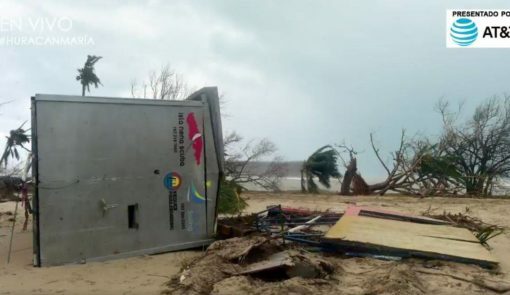 The majestic herds of semi-wild horses that roam the island, have been devastated, as many animals died in the storm. 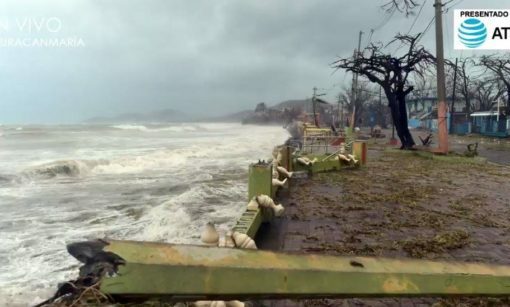 At the beach town of Esperanza, on the south side of Vieques, the storm hit with winds over 175 mph. 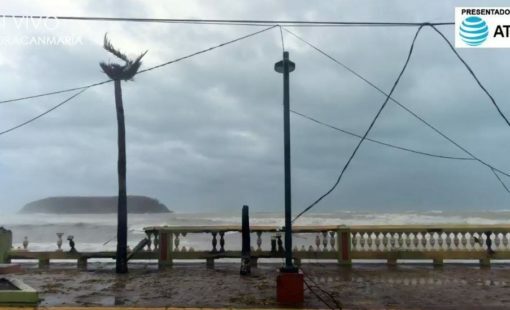 The town was heavily damaged, and a 200-yard stretch to the east, connecting Esperanza to the main road has vanished, replaced by sand dunes. Other roads were being cleared. 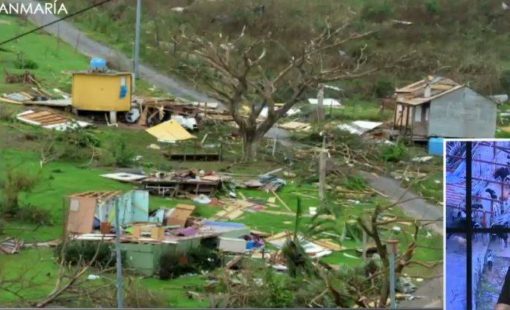 A video posted by news outlet WAPA-TV showed the devastation left by the hurricane. 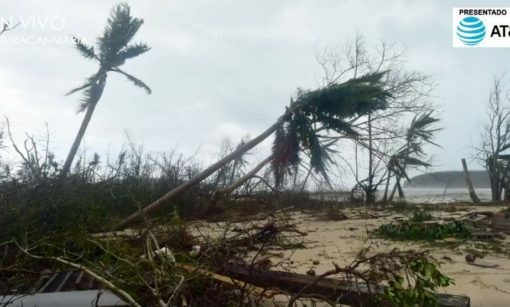 Downed trees and debris littered the island as rough surf continued to pummel the coast even after the worst of the storm passed through. 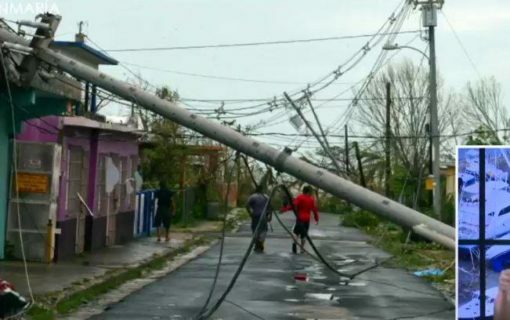 Power lines whipped in the wind as residents began to survey what was left of their surroundings. 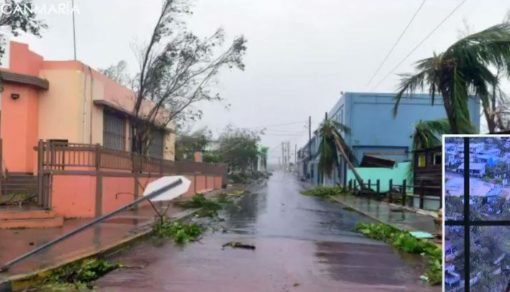 Many businesses “no longer existed”’ in the wake of the hurricane, WAPA reported, noting that many residents were “crying in dismay” after they saw the damage. 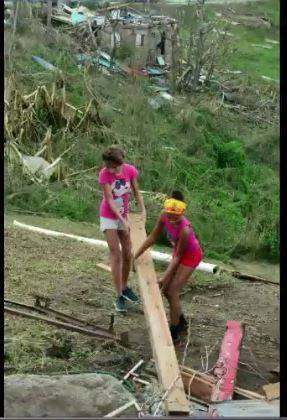 Help has been slow to arrive to the tiny island as the main island (of Puerto Rico) was also hit by the hurricane, their focus is on their own efforts and recovery. 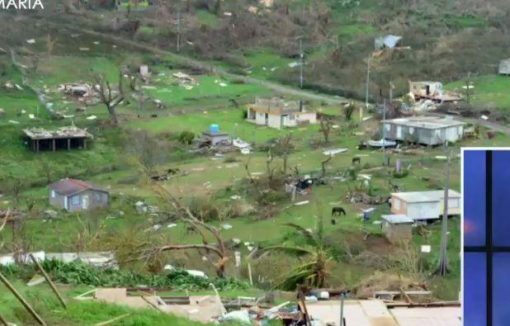 So there’s not a surplus of supplies coming from the main island to the virtually-isolated Vieques. However, that hasn’t stopped some from trying. Reports have mentioned that the local airport (Airlink) is running, but not at full capacity. 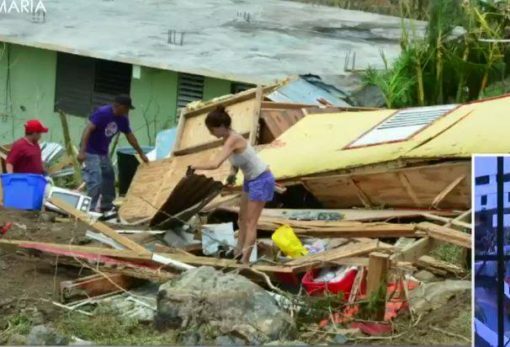 There’s also reports that help may be coming directly to Vieques from the U.S. mainland. 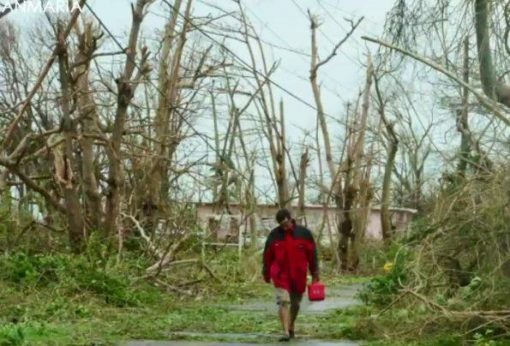 “The people of Vieques are in great need and they are becoming desperate. Food and water scarcity is a major issue, and there are reports of looting and violence, which is only expected to get worse. 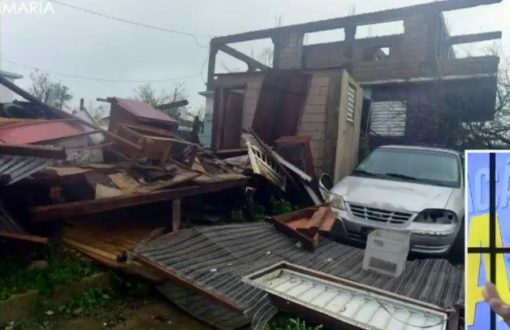 Fuel is unavailable and drastically hampering the ability to mount search and rescue operations in the barrios, where major damage occurred. 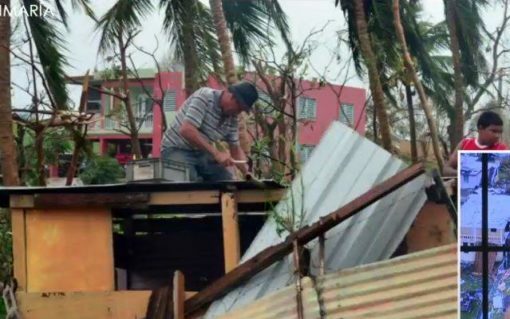 People are not able to easily get off the island, and getting relief access to the island is being hampered by difficulties with the state of mainland Puerto Rico. 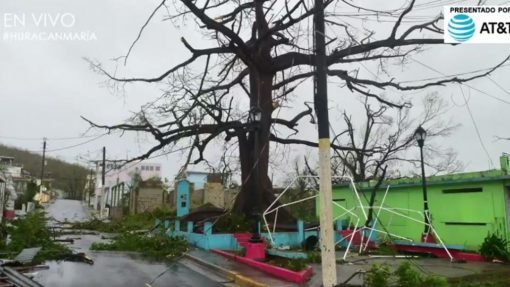 A terrible situation is quickly turning catastrophic, as each day passes and relief cannot be provided to the island.” — a statement from ViequesLove, an organization aiming to help the island. 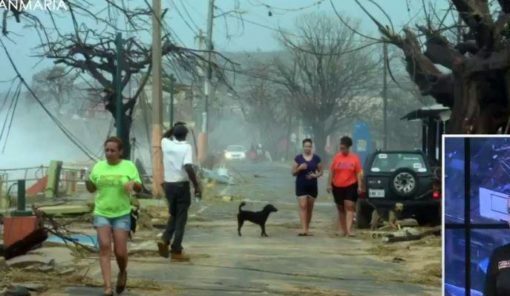 If you’re interested in helping out, you can donate to Vieques recovery effort here. 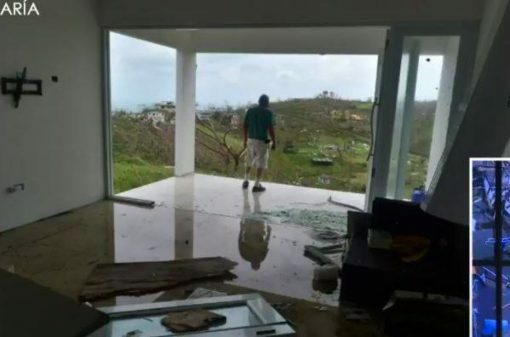 My friend who sent these photos owns a home in Vieques. When were there just a few months ago in May, to celebrate his 40th birthday, he gave us a tour of his neighborhood. We had the pleasure of meeting a handful of his neighbors and visit their homes. 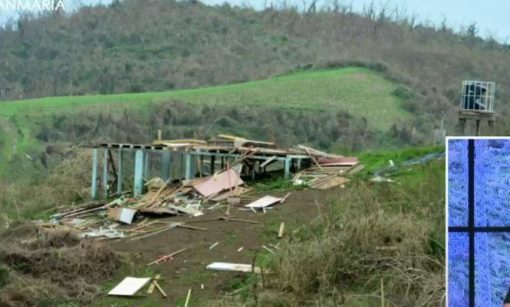 It’s sad to think that some or all of their homes were now completely ravaged by the storm. Considered a Caribbean island, Vieques is a couple hours away from the capital city of San Juan and is located on Puerto Rico’s eastern coast. 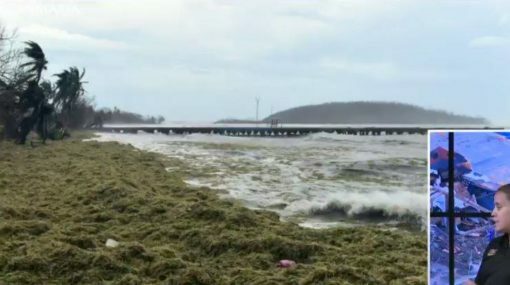 After the hurricane, no one is sure what happened to the island’s popular attraction, the Bioluminescent Bay (“Mosquito Bay”), not to mention the damage to the multiple beaches. There’s been no reported deaths in Vieques, but how many of the wild horses (and wild dogs) remain? 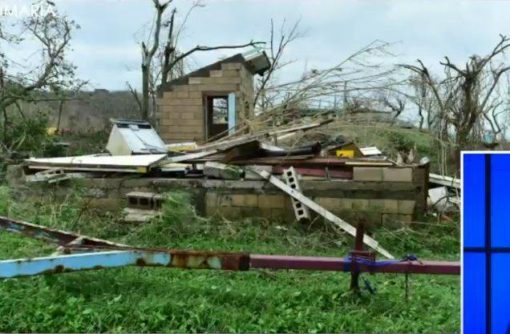 Please read the comments below for more Vieques information and updates from our readers. Greg, do you have communication with someone on Vieques? 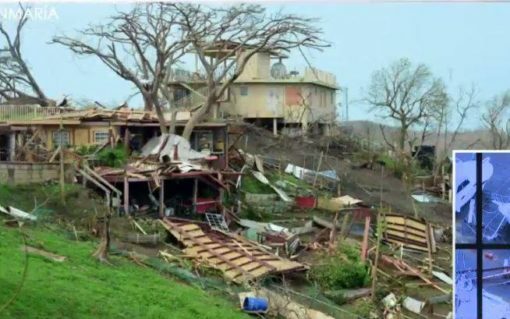 My mother Charlotte Ballard lives on a hill above Esperanza and we have not heard from her. If he knows anything about her whereabouts or can find out, please let me know at vardabarkar@gmail.com. Thank you! Hi Jane — I’ve updated the post so that if anyone reading this post and knows the whereabouts of your son and daughter can reply here directly. Please update us once you know anything. Does anyone know anything about my son Daniel Maruniak and girlfriend Brittany Lukowsky? You sure you’re not just confused? Did you really just ask her if she is confused?How is that possibly helpful? I can’t even believe I just read that. 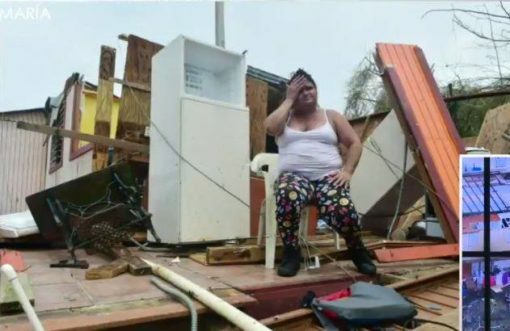 Aida y Yito mi hermano estan como todos en Vieques sin luz sin agua sin comunicacion y sin alimentos pues no tienen estufa es electrica y solo cocinan lo que pueden y cuando tienen en un fogon de emergencia.Estan en unas condiciones bien dificiles. 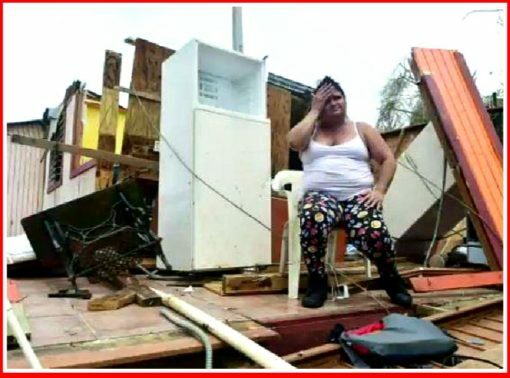 GLAD TO SEE YOU JANE, PLEASE HELP FIND SHIRLEY JACKSON AGE 74, SHORT BLOND WOMAN ABOUT 5′ TALL LAST SEEN WITH SAILBOAT TOUR CAPTAIN BILL BARTON, SHIRLEY LEFT HER VOLUNTEER MONTH WITH REDCROSS IN HOUSTON TO SECURE HER HOME IN VIEQUES. SHIRLEY MAY BE FOUND HELPING OTHERS. David Castro and family . Mother in law Chong (Maria) Castro . Please let us know anything. Greatly appreciated. Looking to hear from sister Nicole Olivelli and brother in law Les Jones…former owners Sol Food. Kurt and Kelly are fine. We are their next door neighbors Andres & Zoe. I have personaly seing them evrey day since the storm. 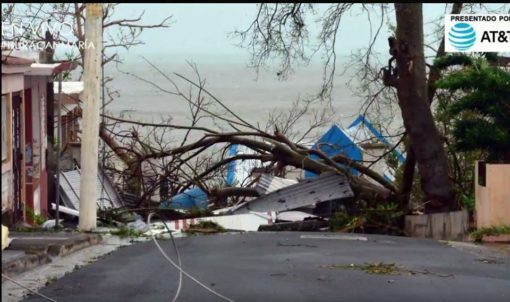 Only problem in Vieques right now is lack of comunications connection. We could come to the big island today by ferry (first one since Maria) mainly to meet and tell our loved ones we are ok. No casualties reported and everyone helping each other. Things are slowly coming together. Ms Soukup, Kurt and Kelly are two very hardworking and wonderfull couple. You must feel very proud of them. I remember hanging out everyday as a child with my parents at Bananas. 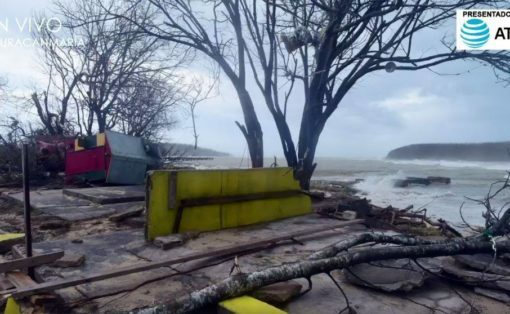 It’s heartbreaking to see what has happened to the island. These images bring back old memories from when Hugo hit us. God Bless!!! My Brother Jorge Castillo, Owner of the Crystal Dolphin on the Malecon, in Esperanzas.. We have not heard from him and his wife Ada Castro. Our family is vary worried… Let us know is if they have been seen or heard from. My cousin Chester (Butchie) lives in Viequez. His house is in the Pueblo. Has anyone here from him. I would like to know if he’s OK. 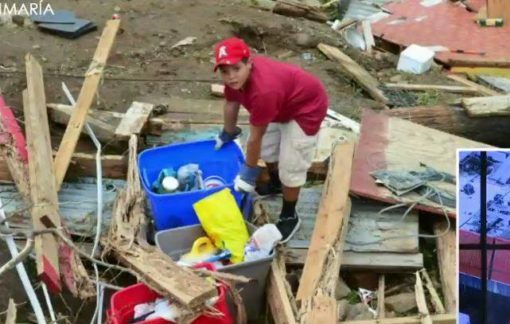 Looking to know if Angel David Morales and his family are okay. i want yo know about my family , my brother work by the mayor, modesto aloyo. 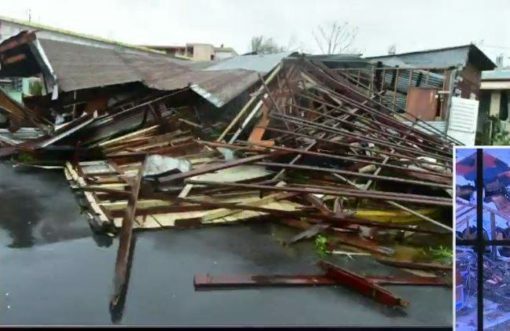 Need status of my uncle Warren Casanova and his family on Vieques and Willie Casanova on the mainland. ON THE ISLAND OF VIEQUES. His brother posted on social media that Bob is okay as well as Nilda. I was very concerned for him too. Looking for Hector and PJ Horta. Their family runs Hortas. Edgardo and Myra who work at the W Hotel, Joel who owns Mama Mia in Isabel II. 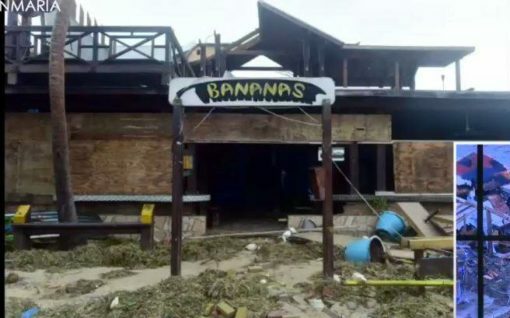 If you’ve seen any of them, please let us know if they’re ok. We don’t personally know the owners of Bili, El Quenepo, Noche, or Next Course, but have eaten in all of those places dozens of times on our trips to the island, we hope the owners and all employees are ok, especially after seeing the damage to Bananas. God bless them all! my son and daughter in law live in vieques. I have not heard anything since tues. morning before the power was cut off.. if you know them or their whereabouts please let me know..it is Les Jones and Nicole Olivelli. former owners of Sol Food near the nature preserve.Any help at all would be greatly appreciated. Hey Everyone ,,,I’m looking to find out all information I can on Joaquin Ayala my father in law that lives on Vieques. I’m posting my email in hopes with whatever I have found relating to communication can also share amongst you all. As we all know for those that live in vieques it’s hard to give an exact address.But the Island is small and everyone basically knows each other. I am looking for my brother, Bill Meacham, who lives at 325 Tintillos in Esperanza. Bill is ham radio operator KP4SX. Any news on the Sea Gate Hotel and its owners? My name is Emma Robinson. I’m looking for information on my Dad Francisco Robinson from Monte Carmelo. I’m looking for Brian Hatcher or Tile Brian, some people know him as Tile Brian. He’s my brother. I haven’t heard anything from him. We love him so much and it’s hard to even sleep thinking he may be hurt. Please let me know if you know anything. We are praying for all of you and the families we know what you are going thru. It is gut renching. Looking for dottti griffin and genovea martinez. Contact your family when possibl please. 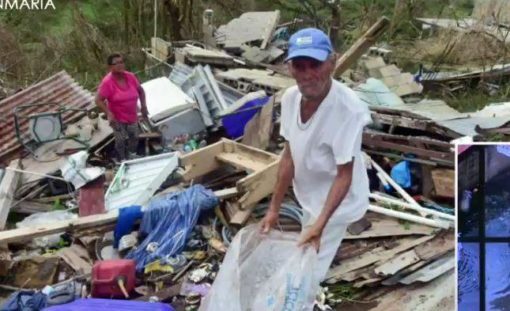 Looking for Eliseo Perez, my uncle in Vieques. Please contact us. Bibi will be in New York tomorrow, Thursday, October 5. Please call us. Eliseo Perez, please call us on Friday morning. Bibi arrives late on Thursday, October 5. Call us on Friday morning in New York. Please call on Friday morning. We hope you are okay. I am asking anyone for information regarding my cousins, Robert and Nicholas Marino. They live in Vieques on Flamboyan in Esperanza Beach. We are desperate to hear something. 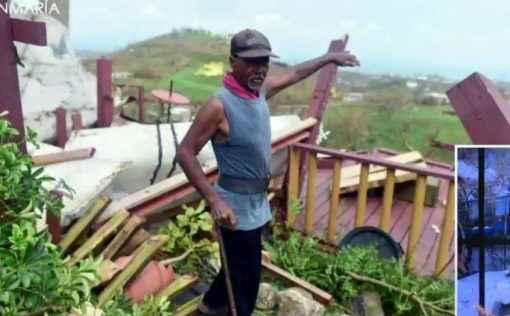 The following link has been established for the sole purpose of helping to raise funds so that people can afford to get off the rock, and get their loved ones to safety. Please read and share this link where appropriate. Thank You! !